Four weeks passed between the time of Ed Meek’s controversial Facebook post and the day that the state college board gave the university approval to remove the “Meek” name from the School of Journalism and New Media. The name was soon taken down. The four letters were removed from the side of Farley Hall and the sign facing the Grove was promptly replaced. “The lettering on the building … you can’t even tell was there,” said Jack Lawton, information technology manager for Farley Hall. Meek’s original Facebook post got 1,100 shares in three hours, and in spite of the barrier of seeking the approval of the university’s and the IHL Board of Trustees, students and faculty quickly voiced support for the removal of his name. “People were saying we weren’t working fast enough, but we were dotting all our i’s and crossing our t’s and doing it in the proper manner,” Lawton said. Bobby Steele, instructional assistant professor of branding and promotion for the journalism school, acknowledged that because the “Meek” name was part of the school’s identity for nine years that the entire process will take a while and has cost the school an immense amount of money already, but the decision to take Meek’s name off after the incident was inevitable. Steele said Meek’s name was on everything. Many students didn’t notice the name plastered around the school until the day it was all removed. 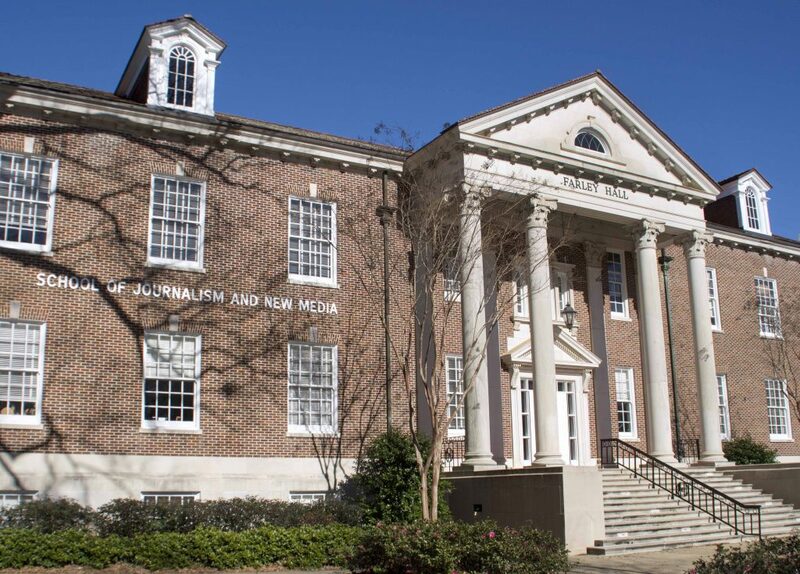 Will Norton, dean of the School of Journalism and New Media, said the faculty has always pushed for diversity and stood for a great education for students who are interested in media. “That brand doesn’t change no matter what the name is,” Norton said. He also said there is a notable difference between renaming a school and rebranding a school. Norton said that removing Meek’s name from the school cost the school in terms of future losses. A multimillion-dollar contribution from Meek’s estate would have gone to the university upon Meek’s death, but Meek has removed the university from his will. While the removal of Meek’s name caused a future loss for the school, Norton said that he did not know of any major costs associated with rebranding or changing the school’s image. “We don’t look at it as rebranding because our brand is the same, we think,” he said. According to Norton, the annual Meek School magazine was at the printer at the time of the fallout, but it hadn’t been printed. The school had to call the press so that they could rename the magazine to become “The Review” before it was printed. Lawton said that the cost of the name change wasn’t much of a choice but rather money the school had to spend in order to maintain a positive public image. Lawton said he thought the money was well spent, but it was still money that could have been used in the school elsewhere, such as in the budget to expand the school, instead of for buying new pens and business cards. Norton saw the change as necessary because he believes students should feel like their school is a safe haven where they can exchange all sorts of ideas and have optimum achievement, but they aren’t able to be their best if anyone feels that he or she has not been treated fairly. According the Norton, they’ll always be looking for new donors for the school, but after the controversy, they plan to wait and not reach out to any major donors for a while.